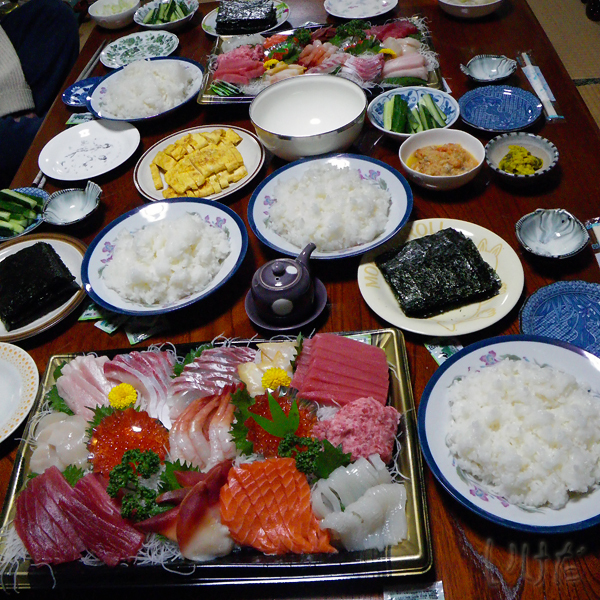 Last Saturday the family decided to have an early Christmas dinner. Since I won't be around for xmas proper, and since they don't celebrate this particular occasion anyway, it didn't really matter whether we'd have it on December 18th or 25th, or perhaps on the fourth of July. It's all the same to them. And frankly, to me, too. So, why do they even bother with it at all? Partly, because it's one of those rare times when the whole clan gets together and behaves in a more or less civilized manner while enjoying yummy food, and partly because, I strongly suspect, they want to please me. That's the reason why this year the xmas dinner was held early - just for me, so I could be present. Sometimes I suspect it comes from their misguided belief that all foreigners celebrate xmas. I mean, they do in the movies, so it must be true, right? So while the family does get this dinner bit right, the struggle as to what should be consumed during this momentous occasion is ongoing. Last year it was pizza and the traditional (well, traditional in Japan) KFC and xmas cake. 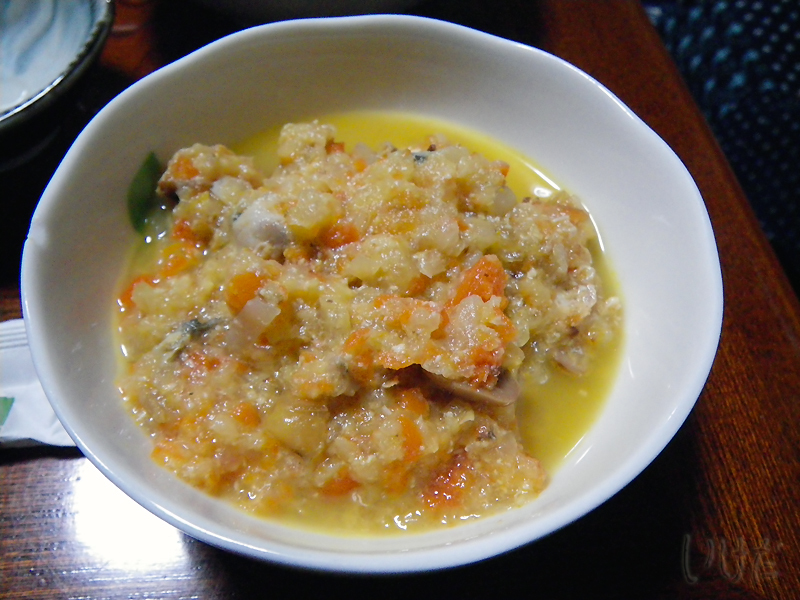 This year it was sushi and the traditional (well, traditional in Tochigi) shimotsukare. And instead of my beloved xmas cake (which I greatly missed, btw) we had baked custard apples and some vile sweet bean and chestnut baked thingie. Our xmas spread this year. Doesn't look half bad, does it? Sadly, I wasn't in the mood for sushi. I was in the mood for KFC. The inlaws were forced to make a pit stop at the local KFC so both Troubles (yes, Dr joined me in my pleas) could be supplied with their fried chicken of choice. And while I did partake of raw fish and rice, I passed on the cat's vomit. Mother in law said it was delicious, but honestly, when was the last time you trusted what you mother in law said? Tochigi cuisine at its finest - shimotsukare, aka neko no gero (猫のゲロ). 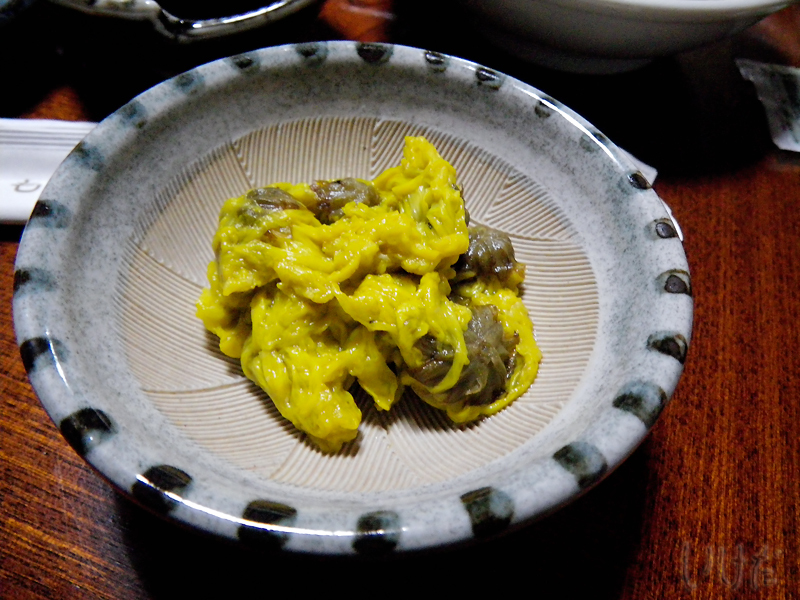 I wrote about this culinary wonder here. 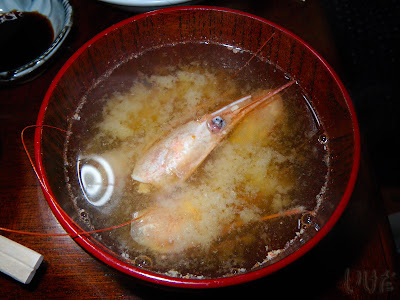 In addition to cat's puke, we also had shrimp head soup (and no, I don't eat shrimp either) and something that resembled more puke, albeit a bit more refined - stewed chrysanthemum. And the royal family flower for your dining pleasure. So that was xmas dinner 2010 in Japan. 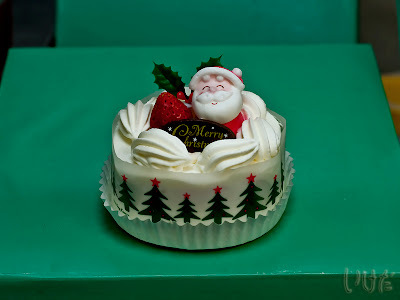 And because I demanded a cake, this is what we got us on Sunday. It was delicious. I've been told that the Christmas Eve supper awaiting me in Malaysia will be a lot more traditional.